This is currently available at Wall Candy Custom Framing and Gallery in Columbia, TN. Come join us for our monthly First Thursday Artisans Party. Stained glass is another one of my varied interests. 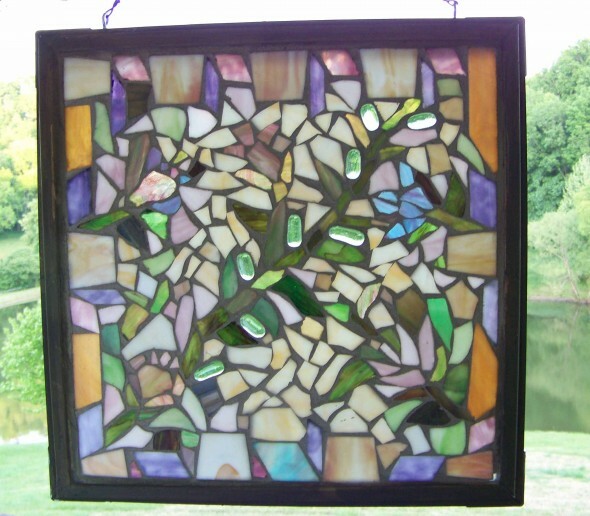 This is a piece that I created on a double-paned window in the style of a mosaic in which the glass is glued to the backing with clear adhesive and then it is grouted like you would a tile or stone mosaic. It is approx. 2 feet square. I can get you the exact measurements if needed. This piece is available at Wall Candy Custom Framing and Gallery in Columbia, Tennessee. 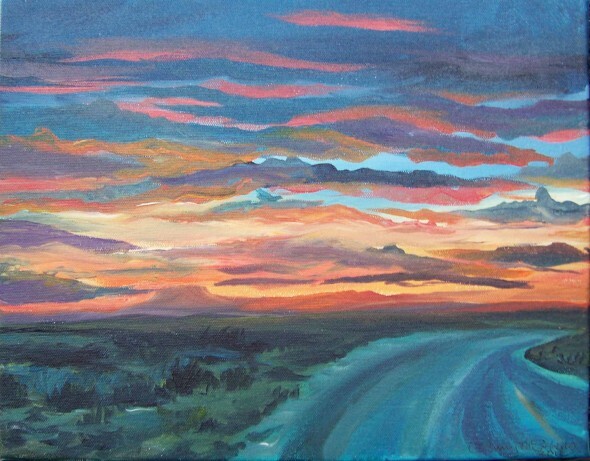 After a recent trip to Taos, New Mexico, I was inspired to paint some of the spectacular scenery. 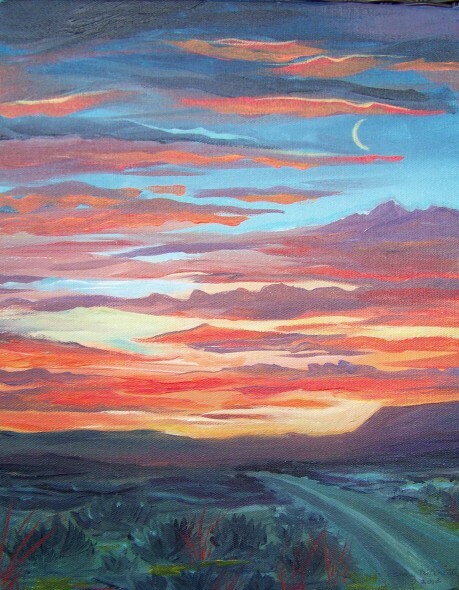 The sunsets there are amazing and I love to paint clouds so this is what I came up with. Wall Candy Custom Framing and Gallery in Columbia, TN. 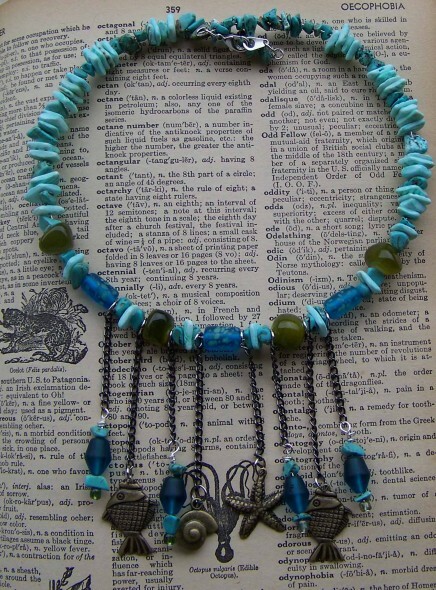 Turquoise, puka shells, glass beads, brass charms and chain.